Got stumps? Small stumps can be a hassle because there hasn’t been a way to remove them that isn’t overkill – until now! 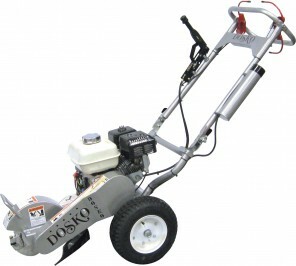 Shaughnessy Rental introduces the MINI stump grinder! Small enough to fit in the back seat of a car, but powerful enough to remove small stumps! Rent the MINI stump grinder from Shaughnessy Rental, and save money on those small annoying stumps!